The wave of 1970’s Anatolian rock reissues continues with this little gem from Catalan psych reissue specialist Guerssen Records. Don’t be misled by “Disko” in the title -- there’s no Saturday Night Fever influence here at all. 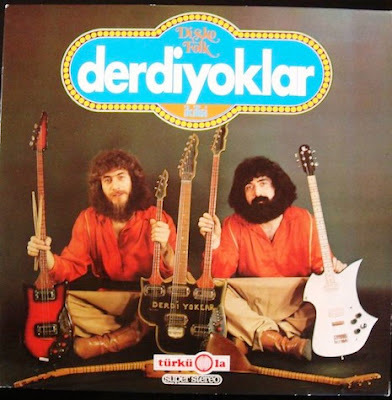 Rather, Derdiyoklar was a German-based Turkish duo who played updated folk-rooted material -- in other words, folk-rock. 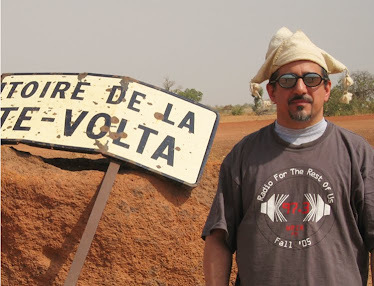 The band featured electric saz (a traditional Turkish long-necked lute), the sound of which will immediately make you think of “Misirlou” and all the other twangy Middle Eastern influenced surf rock instrumentals. Instead of shredding, the saz player goes for an atmospheric sound nicely complemented by exotic pseudo-woodwind synthesizer colorings and a steady backbeat that keeps the music pointed in a rock ‘n’ roll direction. Many of the most significant Turkish rock artists of the era (such as Baris Manco, Cem Karaca and Erkin Koray) are being actively anthologized right now. Derdiyoklar are a bit more obscure, perhaps because they primarily played to a Turkish expat audience in Germany. But they contributed my favorite track to Nublu’s recent Istanbul 70 comp, and I really like this album as well.